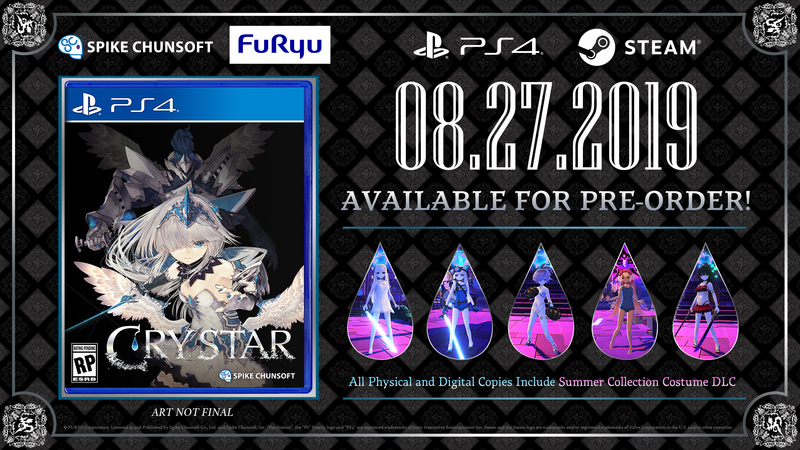 In addition to announcing AI: The Somnium Files‘ release date, Spike Chunsoft announced that it’ll be publishing Gemdrops-developed action-RPG, Crystar, in the West on August 27, 2019. The game, which first released in Japan last October, will be available for the PlayStation 4 and PC. Crystar follows the story of a girl named Rei Hatada and her little sister, Mirai. The siblings are stuck in the afterworld of Purgatory, where Rei ends up killing Mirai. She later enters into an agreement with a demon to revive her sister. Responding to a question about customization in a recent interview, a Spike Chunsoft representative said that the company has plans to bring more downloadable costumes later down the line. Producer Fuyuki Hayashi added that each character can access up to four abilities at a time, and players can choose abilities according to their play style. Players will also be able to customize their equipment in their in-game room. Crystar‘s Western version will be fully localized with English text and voices. The game’s standard edition will come with the Summer Collection Costume DLC, and its day-one edition will come with a mini artbook illustrated by character designers Ruichi and ntny. The day-one edition is up for preorder now.